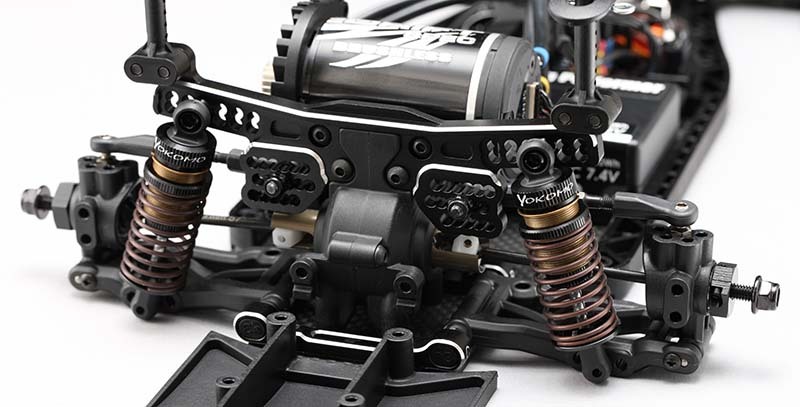 From Yokomo and made for the YD-2S RWD drift car kit is a new aluminium rear shock tower. 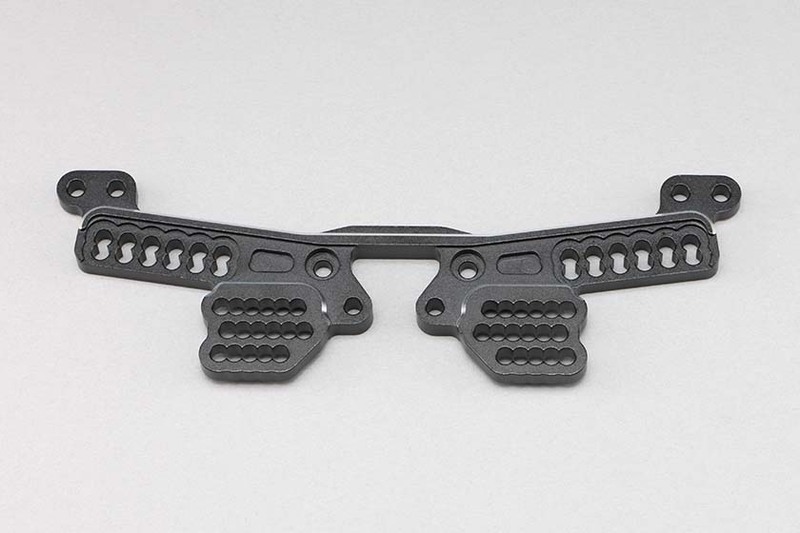 The part offers a huge amount of possible mounting positions for both the shock absorbers and camber links, allowing to finely tune the suspension geometry for a range of track conditions and tyre specifications. The tower is known to work best with the recently introduced short lower arms and it is machined from high-quality aluminium and sports a black surface treatment with machined silver edge details.